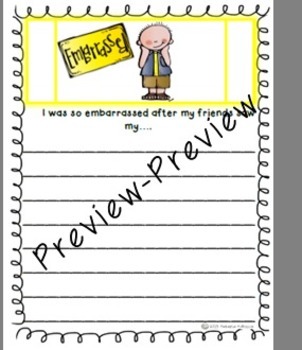 This Common Core Aligned packet, written by Natasha McKenna, is sure to bring fun and excitement into your classroom! Use it at a writing center or spark even more creativity by creating a game of ‘write and pass’. 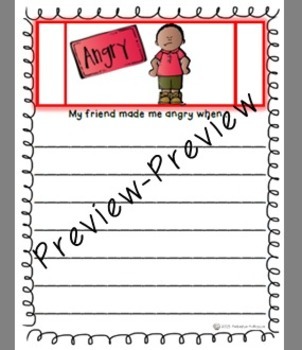 Included in this 11 page packet are writing prompts that target the following emotions: Happy, Worried, Sad, Embarrassed, Angry, Scared, Confused, Proud and Excited! 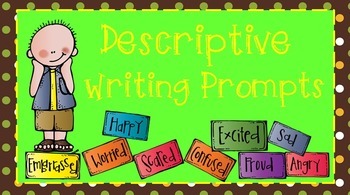 Two bonus prompts are also included to help assess specific writing standards.